(Newser) – A team of investigators who pored over evidence in the JonBenet Ramsey murder 20 years after the fact presented its conclusion Monday night: Brother Burke Ramsay did it. The scenario laid out by the panel: Burke, who was just a shade under 10 at the time, hit his sister in a rage with a flashlight when she stole a piece of his pineapple from a bowl he was snacking on before bed. (A bowl on the kitchen table and the contents of JonBenet's stomach helped lead to that theory.) Panelists do not think he killed her intentionally, but they were unanimous in asserting that parents John and Patsy Ramsey then took over and concocted an elaborate fake kidnapping story as a cover-up, reports E! Online. The show includes an interview with a former neighbor who said Burke had a temper and once hit JonBenet in the face with a golf club. The program is VERY convincing.Look at the interview with a psychologist back in 1997.The new investigators point out that Burke had no trauma from the murder and was unconcerned about the "murderer" and his sister's absence. This child was replaced, emotionally, by his sister as far as attention from the mother, and was wholly ignored by the father, whom a gardener says was never home. Burke was angry. Smearing feces on his sister's Xmas presents? That sounds pretty angry to me. The child was a sociopath then and still is. 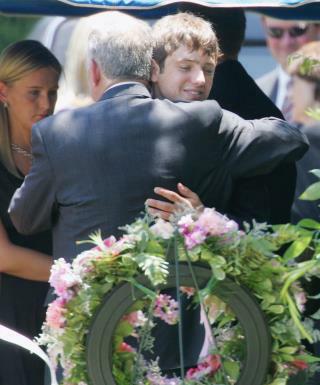 His emotion is over the fact that people are figuring out he did it, not over missing his sister. The Ramseys hired former FBI agent John Douglas (famous for developing serial killer profiles) to investigate the case. Before accepting the job, Mr. Douglas made it clear the results would be exactly what he learned, regardless of who was suspect. They agreed and after a thorough investigation of all available evidence, John Douglas said he was convinced the police investigation was a complete and total failure and he had no doubt whatsoever the Ramseys were not involved in any way shape form or fashion. Unless he is a total sociopath, it would be impossible for the brother to even survive with the guilt of doing something that horrific.